All EverQuest II Servers will be brought offline on Tuesday, August 29th, 2017 at 7:00 AM PT (14:00 UTC) for an update. Estimated downtime is less than 2 hours. This morning’s downtime downtime is running longer than expected – EQ2 servers should be unlocked by approximately 11:30AM PT. Random events in the Obulus Frontier are now more common on a Free-Trade server. All waves of Kunark Ascending Ethereal Events are now active indefinitely. Players will earn double Ascension Experience on a Free Trade server. Weekend Treasure Rush has been enabled on Free Trade servers, where Kunark Ascending encounters will drop double loot. This event activates every Saturday and Sunday on a Free-Trade server. Treasure Rush bonuses do not stack with other double loot drop events. Wait Queues for F2P on Merged Servers to End Tuesday? The first two Server Merges are now under the EQ2 team’s belt, with Crushbone, Oasis, and Butcherblock becoming Maj’Dul while Guk, Unrest, and Everfrost were reborn as a unified Halls of Fate server. Soon we’ll see Freeport, Nagafen, and Permafrost become a new combined Skyfire server. The technical requirements of doing a three-way merge has certainly thrown the team some curve balls. In the hours after the Maj’Dul server came up, there were several server crashes due to memory usage. To keep Maj’Dul stable, a login queue was instituted for Free-to-Play accounts to lessen the load. The queue was then extended to the new newly merged Halls of Fate server for the same reasons. This queue is not a mere inconvenience as some players have been locked out in excess of 18 hours. Player outrage at the dichotomy experienced by All Access subscribers vs. Free-to-Play users (some of whom claim to spend in excess of $15 a month on the Marketplace) has grown increasingly shrill. F2P will have Queue issues until Tuesday with our fixes. The queue drops as the population drops. Obviously weekends are tough. But it should be gone on Tuesday. The queue is temporary. It was that or server crashes. The queue for F2P gets longer the more members who bypass it. It’s not ideal, obviously, but we should have it fixed Tuesday. It’s Bug Bash (and Altar of Malice heroic zone rebalancing) time! Fixed an issue where you could lose your grandmaster spell if you betrayed. The tooltip and examine window information will now correctly display the damage type of missile weapons. Rejoice! Exiles can now use the shared bank! Exiles can now change suffix titles! SOE Live Request: Added the command /dump_items_to_log, which, true to its name, will write the contents of your inventory to your log. Please note that only items known to your game client will be logged; as such, the output may vary depending on whether you’re in a house zone or not. SOE Live Request: Players may now drag game commands such as “Summon Mount,” “Melee Attack,” “Ranged Attack” etc. into the Edit Macro window to create a step with the appropriate command. Starting today, EverQuest II’s 11th expansion Altar of Malice will become available for purchase for Free-to-Play EQ2 players both at EverQuest2.com, and through Steam. All Access customers were able to buy and play the expansion some two weeks ago starting on November 11th. Pricing remains unchanged, at $39.99 for the standard edition and $89.99 for the collector’s edition. Confirming speculation after the pricing for EverQuest’s own The Darkened Sea expansion was recently revealed, today the EverQuest II team have unveiled the pricing for their own Altar of Malice coming this November. As previously mentioned, there will be no Pre-order for this expansion. It’s believed that the team is hoping to avoid the kind of pre-order snafus that players have experienced in the past by just opening the door to purchases on launch day. The Altar of Malice Standard Edition includes an in-home painting of the key artwork. The Altar of Malice Collector’s Edition includes an Elite Battle-Mystic Mercenary, Mage Tower Isle of Refuge teleporter, Pterodon flying mount (NO BUFFS/STATS), Dinosaur house pet, three armor gems for upgrading Altar of Malice solo, heroic, or raid armor, and 80 days of Research Assistant (Spell) time. All Access: Mr. Postman, Bring Me My Loot! Who needs a mailbox? Not you, if you’re an All-Access Member! Are you tired of adventuring in far-off places and wondering what treasures are sitting in your mailbox at home? Do you want to be able to loot something awesome and send it to a friend immediately, without having to make the long journey to the mailbox? Well, beginning Tuesday, October 21, 2014, All-Access Members will be able send and receive mail attachments from anywhere in Norrath! That’s right Norrathians; you’ll never have to find one of these again! Starting tomorrow, All-Access members will be able to utilize the mail attachment option when composing or receiving their Norrathian mail without the hassle of visiting a mailbox. Players can access the mail system by selecting the “Mail” tab from the EQII Menu, or by clicking on the mail icon in your effects window. Sending or receiving an object is then just a matter of dragging items to or from the attachment window! UPDATE: At 5:00pm PDT last night, the Altar of Malice beta finally opened for all players, whether Free-to-Play or All Access subscriber. Everyone can now join the Beta server and experience Altar of Malice before it launches. Are you interested in what’s become of the Isle of Refuge? Do you long to discover the treasures hidden in the Phantom Seas? Beta testing is a great opportunity for you to try out the features of Altar of Malice and provide us with valuable feedback so that we can make this the best expansion yet! Playing Altar of Malice on the Beta server ahead of time also has perks for your live server accounts! There is more information coming soon about the rewards players will be able to earn. Log in your character and then type the /beta command. If you want to get into Altar of Malice beta in 20-30 minutes instead of after 12-14 hours of patching, read our “Altar of Malice Beta Opens” article to see how to quickly copy over your live files to the beta folder. If you’ve never heard of Extra Credits, it’s a semi-weekly show by game designer James Portnow and animator/narrator Daniel Floyd, with various guest artists providing the sometimes comical artwork. The series of videos discuss issues pertinent to video games and game studies, particularly discussing issues concerning video game development, addressing the legitimacy of video games as art, and creating intellectual discourse on important issues in gaming culture. We try to watch it every week, and we have a sneaking suspicion the EQNext and Landmark teams do as well, as a lot of the concepts they talk about are raised on the show. We’ve been meaning to mention this show for a long time now. This week’s episode just happens to cover the topic “Free to Play Is Currently Broken – How High Costs Drive Players Away From Free-to-Play Games“. Most of the sins mentioned in this episode are not applicable to EQ2 — at least not anymore. Probably the biggest current examples were the $50 Bristlebane mount last year, and the $40 2-hour Group XP items. Watch the EverQuest II Q&A #2 panel from SOE Live 2014! As long last we’ve resumed posting videos recorded from SOE Live 2014. After this, we’ve still got the EQ2 Art & Animation panel, as well as three player panels and the Player Studio panel. Oy vey! 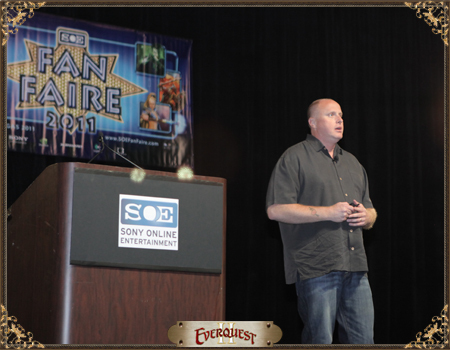 This was the last panel at SOE Live 2014 for EverQuest II — Questions & Answers #2. Due to room acoustics, this recording took an inordinate amount of time to edit and normalize. Fortunately, Audio quality improves around the 3 minute mark when questions begin. 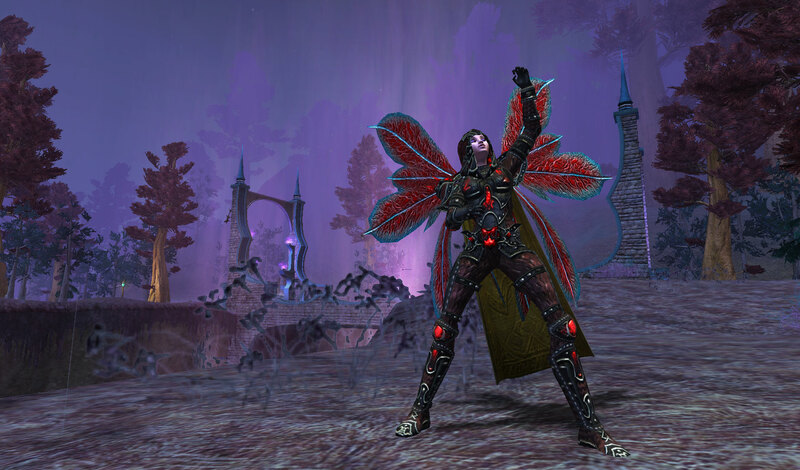 Watch the EverQuest II: Altar of Malice Keynote from SOE Live 2014! There were some technical difficulties during the first 10 minutes of the EverQuest II: Altar of Malice keynote which was livestreamed from SOE Live last week. Instead of clearly hearing the producer and designers of our game hyping their hard work, audiences at home mostly heard frustrated AV techs trying to get things working. Fortunately, we recorded the keynote in person and are now able to provide the complete event for those who missed it! Players are reporting being dropped back to Free-to-Play access for 2 days while their billing cycle is waiting to start again. The “Claim your 2500 StationCash for being All Access” monthly timer may also end up skipping 2 days. The biggest issue here is not a few StationCash, but players being dropped back to F2P because of where their billing cycles end. Hopefully this issue can be resolved quickly. EverQuest 2 has announced a “Summer Kickoff” event! First up, all players will see 30% off Appearance items and Mounts on the Marketplace. Now here’s where we split off into the Free-to-Play and All Access groups. All Access subscribers enjoy Double Bonus XP the entire weekend (May 23-May 26). To celebrate the start of summer, we’re having double experience and sale action! All players will have double experience on Monday, May 26th, 2014 at 12:00 AM PDT to 11:59 PM PDT. All players will also have 30% off on appearance items and mounts, starting Friday, May 23rd, 2014 at 12:00 PM PDT to Monday, May 26th at 11:59 PM PDT. All Access members will have the entire weekend of double experience and 30% off on appearance items and mounts, starting on Friday, May 23rd, 2014 at 12:00 PM PDT to Monday, May 26th at 11:59 PM PDT. Note: Yes, this stacks with your 10% off on all marketplace items for being an All Access member. We hope that you all enjoy the double experience and sales. Have a fantastic weekend! Looks like most of the issues have been resolved! If you go to your SOE Account management page by going to https://www.soe.com/home > My Account >Membership Info, you should be able to see all the information needed as well as when you can claim your next 500 SC. Let me know if there’s anything that is still not working for you! This was naturally followed up by 3 pages (so far) of players still reporting issues in Europe, or on comped/lifetime subscriptions from game contests years ago, or players who used to have the $19.95 Station Pass, plus many other edge cases. Luperza has responded to many of these posts with advice, suggestions, and patience. By the way, the Membership Info page at SOE.com no longer contains a button to get to the list of Entitlements for each game. Fortunately, we tracked down the old URL and provide it above. Thank you for your patience while we work to resolve matters surrounding the launch of SOE’s new All Access Membership – read all about it at this link! The implementation of this new membership plan across SOE’s game portfolio has been one of the most complicated updates to our billing system to date. As fellow gamers, we know that this has been frustrating and we sincerely regret any inconvenience this has caused. DC Universe™ Online – 50 Replay Badges will be granted to all DCUO players who logged in between 12:01am April 24 – 11:59pm April 30, 2014. 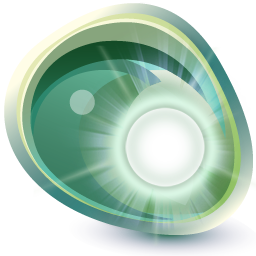 The grant will occur after DCUO’s regular 4:00am PDT downtime on Friday, May 2, 2014. NOTE: All times are given in PDT. Click here to convert to your local time! Thank you for your continued support, from all of us at SOE! The EverQuest II Membership page has now been completely revamped with the All Access information! More specifically, there is a sale on a year of All Access membership which can be had for just $99.99 instead of the usual $119.88. 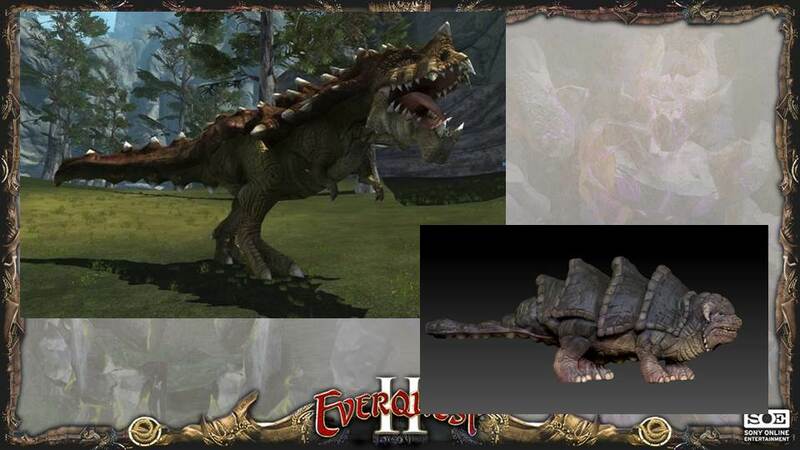 Followup: The teaser pictures shown during last year’s SOE Live expansion panel were of dinosaurs(another here from the art panel). Continue reading EQ2 AMAA on Reddit Notes at EQ2 ZAM for a whopping 7 pages of questions and answers! My name is Mark Tuttle and I head up the All Access Membership team here at Sony Online Entertainment. We’ve been working around the clock to bring you SOE’s all-new game membership. Implementing this new All Access membership plan across our portfolio of games has been one of the most complicated changes to our billing system to date so we appreciate your patience while we completed these necessary updates. 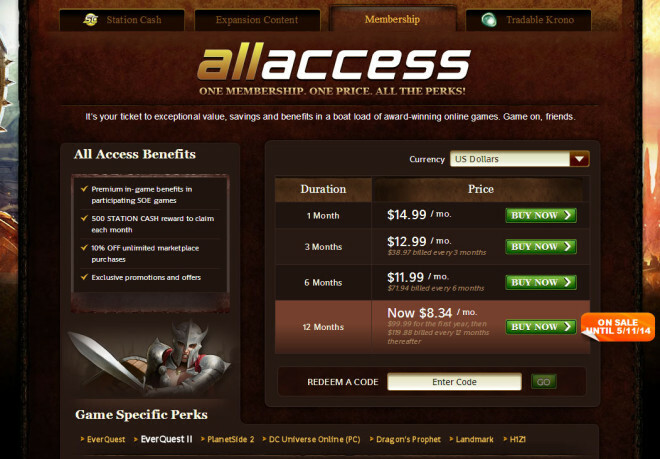 With that said, I am happy to inform you that we have officially launched our new All Access Membership! At SOE, we see our players as part of our extended family so naturally our games are all about our community. It’s fun to belong to something. There’s information, status, and sometimes, really cool decoder rings. Up until now, our Members largely belonged to individual game Communities. The EverQuest members were over here talking about the “good old days” while the EverQuest II members were arguing over Shadowknights, and the Planetside 2 members were running around yelling “pew pew!” Wouldn’t it be great if we were all members of the same Community? 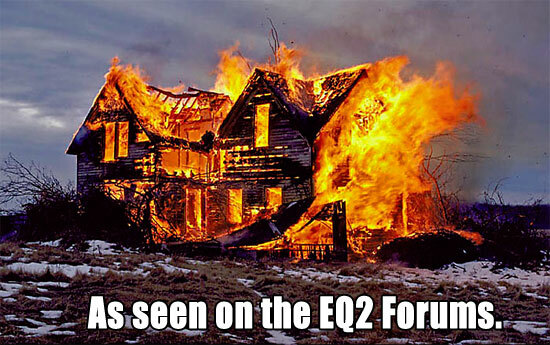 Not only just the EQ or EQII or DCUO game Community… but the SOE Community. In an effort to ensure that the transition to the new All Access membership plan is as seamless as possible, we are going to be taking a little more time to test. So, we will be pushing the launch date of All Access to Tuesday, April 29th. Because of the portfolio-wide nature of this plan, this may prevent us from doing any individual game updates in EverQuest, EverQuest II, Planetside 2, and DC Universe Online. These updates will resume normally after the All Access launch. We appreciate your patience and you’ll agree that our new membership offering is worth the wait. 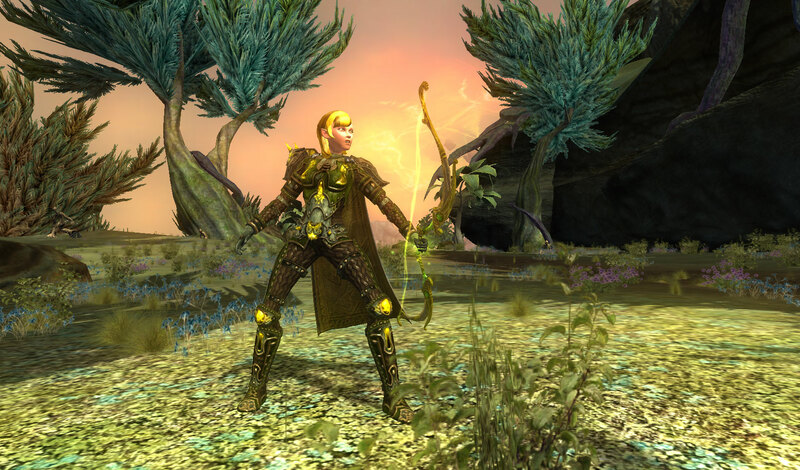 It’s been an exciting year so far for EverQuest II and we have a lot more to come! Since All Access membership was announced earlier this year, as well as news on our new weekly update direction, we’re having a great time bringing more to the game each week. There’s a lot coming up too and we wanted to take a breath and tell you all about it! As many of you know, our All Access membership changes will go live on or around April 23, 2014. Players who choose All Access membership will get access to SOE games, can claim 500SC a month, and get access to special promotions and offers. Members will also get unique benefits in EverQuest II. As we found out recently, SOE is making all of their customers who currently have a Gold membership, through credit card, Krono, or game cards, into All Access customers. Players will be able to login to their favorite game once per month and claim 500SC for being loyal subscribers, as well as enjoying a 10% flat discount in all Marketplace prices. Finally, All Access customers will be able to access all of SOE’s games including DC Universe Online (PC), PlanetSide 2 (PC), EverQuest, EverQuest II, Dragon’s Prophet, EQN Landmark, and EQNext when it launches in 2015. Smed: Krono, Game Card Subscriptions Included Too! We have decided to treat krono and our prepaid cards exactly like a recurring sub in terms of benefits. SOE President John Smedley continues to peel back the curtain on the thinking behind Subscriptiongate and why he is trying to make this right for loyal customers, while addressing the Accounting and Tax Law issues which SOE could ignore no longer. When I read through all the posts here and on our forums, it never ceases to amaze me how people can think we’re just money grubbing jerks because we’re trying to make money. I can tell you from the bottom of my heart that’s just not how we think. Most people I know in the games business are in it because there is literally nothing else they want to do ever. From the time I was in high school I knew that’s what I wanted to do. The same is true for a lot of people here at SOE and around the industry. Obviously one of our goals as a corporation is most certainly profit. And yes, when you guys buy our stuff it makes us happy. But money has nothing to do with why it makes us happy. We’re happy because you guys bought something we (or one of our other players made). We’re in the middle of developing Everquest Next Landmark (on schedule right now for end of this month). We rebooted the game 3 times. It was a massive delay and it hurt us financially. But it was the right thing to do for us, and for the industry. Most importantly you all are going to get to play something we’re very proud of and we think is a whole lot of fun. I believe a lot of this rhetoric is the result of us not being transparent enough, so we’re going to change that. I want us to start explaining the “why” in the decisions we make.. particularly the financial ones. The changes we originally proposed would not have made us more money than the previous plan. Even if some people cancelled, though to be honest we thought our plan was pretty darn awesome and you would love it. The same is true for a lot of the decisions we make. We’re trying to make life better for you, and yes.. for us too. But while some of those decisions are financially based, most aren’t. It’s usually something to clean up a tangled process or solve other problems. So. how do we really feel about monetization? We believe if we make great games, we’ll make money. So I therefore am going to make it one of my personal missions to explain the thought process behind our business decisions. I want to be able to have an honest enough dialog that I can actually tell you “yeah this is important to our bottom line.. that’s why we did it”… and have you at least not question whether that’s the real reason. You may disagree with it, but at least you’ll be able to make a reasonably informed judgement as to whether or not we’re the greedy company some of you seem to think that we are, but at least you’ll hear the why. My hope is that by doing this we can at least get people to say “ok. that makes sense.. I don’t love it but it makes sense and I’m ok with it”. And if you don’t, then we have work to do. many more quotes after the jump. Smedley has been a posting machine! Last Friday, SOE announced changes to their Subscription services, replacing the 500 SC/month allowance for having a Gold Subscription in any of SOE’s games with a monthly voucher to buy ONE item per game, up to 2,000SC, to exclude Player Studio, “bundles“, and an unknown array of other items, presumably “Services“, Experience items (280AA bauble), and expansion unlocks like Mercenaries. Players who buy a number of 100-200SC items would have lost out with the deal, as the voucher only applied to a single item with exclusions. And while it’s a small pool of players, Vanguard players on an All Access subscription would have gotten nothing out of the deal. Yesterday, SOE President John Smedley halted these changes, bringing back the 500SC/month allowance (although it must now be claimed once per month), and went further, cutting the price of a multi-game All Access subscription from $19 to $15 and applying a 10% reduction in all Marketplace prices for Subscribers. And all was right with the world. Wow, that’s incredible. A bunch of people just b & m’d the entire community out of 4 times the rewards. Way to go forums. Personally all the people I play with were pretty hyped about the new version once they said they were looking at bundles and player studio items being back on the table for it. Stick to your guns Sony! Our invite was once again misfiled, but if you are curious to catch all the info about Heroic Characters, including a few quotes from Holly “Windstalker” Longdale and Dave “SmokeJumper” Georegeson, you’ll want to check out the writeups by Cyliena (ZAM) and MJ (Massively) who endured SOE’s PR firm to bring you the scoop! And is it just me, or are the 3 screenshots provided by PR kinda the opposite of what you’d expect to see in marketing Heroics? The exclusive armor set and free flying mount, especially on characters ALL BY THEMSELVES are probably the sorest subject for existing players. I guess I can see that players want to know what their $35 (3,500SC at full price) gets them, but I certainly wouldn’t have featured a Solo character in all 3 screenshots.